Join thousands who have found relief from tax debt. Tax debt is considered part of your marital assets and liabilities during a divorce. The state you live in will determine how your marital assets and debts are split among the two parties going through the divorce. You may have to file this current year’s taxes with your future ex if your divorce isn’t finalized before the year is up. The end of a marriage can be a sensitive situation to handle. When a couple separates, they have decisions that have to be made, such as custody of children. The property gathered over the time of the marriage has to be divided between the spouses. All of the debt that a couple has together is also required to be divided between them. This debt includes any tax debt that the couple has together. When going through a divorce, especially a contested divorce, the court handling the divorce proceedings will determine how everything in the marriage will be handled. Specific laws determine how creditors can go after money owed to them. The IRS collects tax debt, and the agency has different rules that guide how it obtains this debt. However, the divorce court views this tax debt as something to be treated in the same manner as other items accumulated during the marriage. Your divorce settlement will be calculated by the lawyers involved with all of the debt being pooled together. Some states have specific laws that determine how the assets and liabilities will be divided for your settlement. Community property states view any of the property and debts acquired during a marriage to be owned by both spouses. 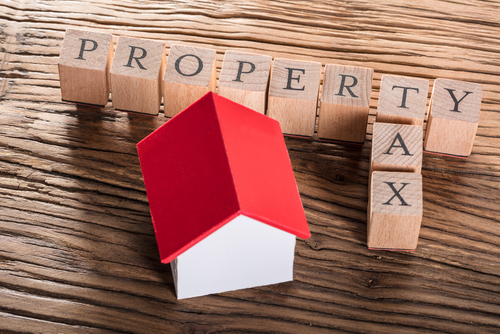 Community property states consider any property and debts you held before your marriage as your personal property, and the same goes for your spouse. Any items or finances you brought into the marriage is considered yours after the marriage is over. Anything that you both worked toward achieving, including the debts, are then typically divided equally between the two parties. This definition means that the timing of the tax debt can play a role for the individual responsible for paying the debt. Any tax debt incurred before the marriage is that spouse’s personal property. That spouse will be the responsible party. Any tax debt created during the marriage is community property and will be split along with the other marriage debts. The remaining states are equitable distribution states. In these states, everything that a couple has when they get divorced, including those items they brought into the marriage, is divided equally between the spouses. The items divided include the tax debt they have, regardless of the timing of the debt incurred. 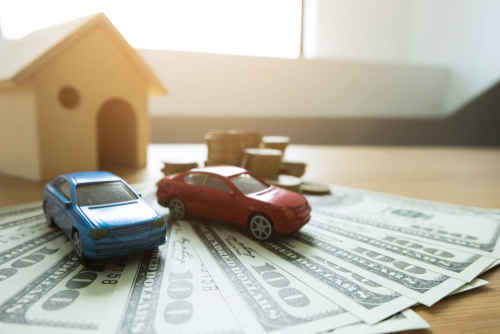 Some other factors come into play which may impact the portions, such as if children are involved or whether one spouse is willing to exchange more property for a larger amount of the shared debt. Are You in Tax Debt? Learn more about debt reduction solutions. Do you need help with tax debt? 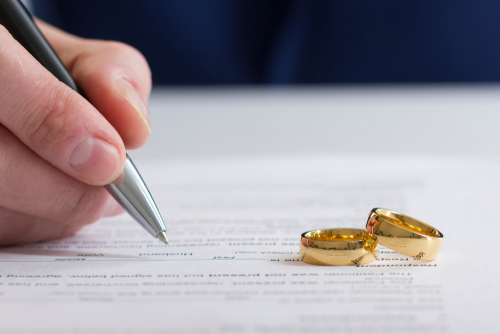 Several factors will go into your divorce settlement, and your divorce attorney will be instrumental in helping you negotiate what portion of the tax debt you’ll be responsible for covering after the divorce is final. In some instances, one spouse may be willing to take on a larger share of the debt to retain a more significant portion of the assets. Your final divorce decree will outline what each party will receive and what each will be responsible for after the marriage has ended. This document will be proof of the final agreement between the former spouses and is binding. This list is not an all-inclusive one, but it can give you an idea of what to gather before you meet with your legal representative. You should create some inventories before meeting with your attorney as well. You’ll want to list all of the personal property you have, what you and your spouse brought into the marriage, and any inheritances or gifts given to each spouse throughout the marriage. If your divorce isn’t finalized by the last day of the year, you and your spouse will have to file as married for taxes that year. Often, it can be to your benefit if you file a joint return. A joint return typically has a more substantial return and more deductibles for you both. This money can then be divided for your divorce. This joint return also has some downsides to it, however. If you worry that your spouse may not accurately report items on taxes, will owe back taxes, or default on a federal loan, you shouldn’t file a joint tax return. You could be held liable for any of these issues. The IRS could take part of your refund to pay for your ex-spouse’s debts. You also have the choice to file separately. Often, filing separate returns won’t give you as large of a refund or tax deductions, but it can provide you with peace of mind. You won’t have to worry about debt issues for that particular year. 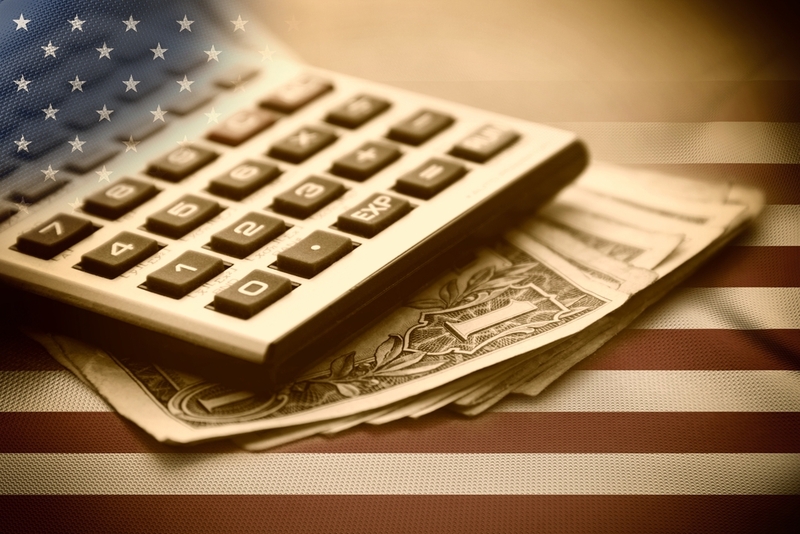 Having tax issues during your divorce can make this process more complicated. 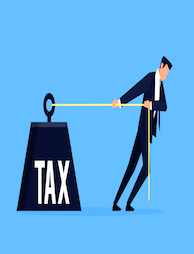 You may find that your lawyer will want to connect you with a tax professional to help you in navigating the best way to handle your taxes. A tax professional may need to work together to assist you in your divorce, especially if circumstances exist where your past taxes have errors or potential fraudulent filings. A tax professional can assist you in protecting yourself as much as possible in this type of case. A divorce can be a stressful time in your life. You have to let other people into what was once a more intimate matter between you and your partner. 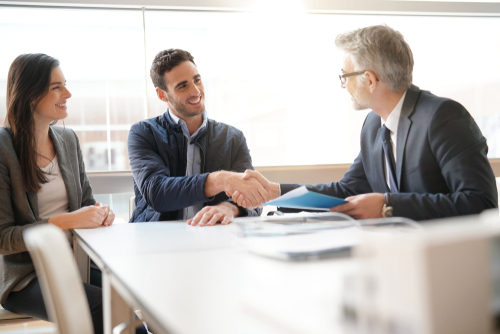 If you need help with trying to handle your tax and other post-divorce debts, Solvable offers educational tools and connects you to our partnerships with debt services that can help put you on a better financial path.